Now it’s easy to protect and carry three of your favorite cigars. 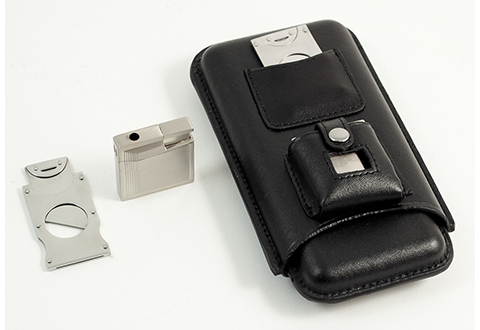 The 3 Cigar Holder with Cutter and Lighter protects three of your favorite 50-gauge cigars, and houses a stainless steel cutter and a stainless steel butane lighter. 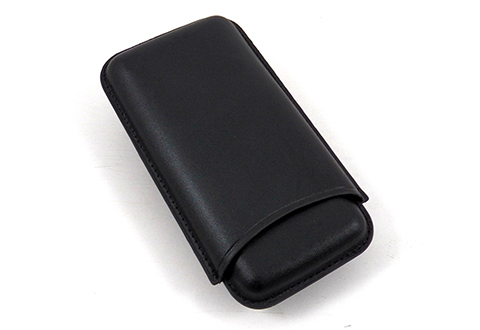 Made with genuine black leather with an elegant, upscale design. Makes a great gift! Get the all-in-one case for your favorite cigars. 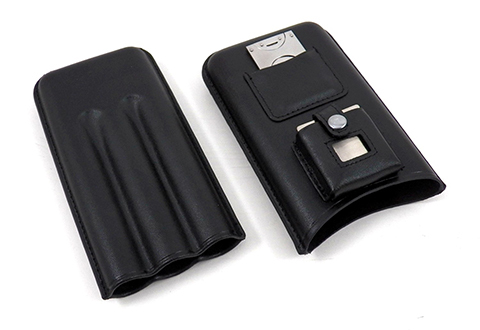 The 3 Cigar Holder with Cutter and Lighter has everything you need to enjoy a good cigar on the go.